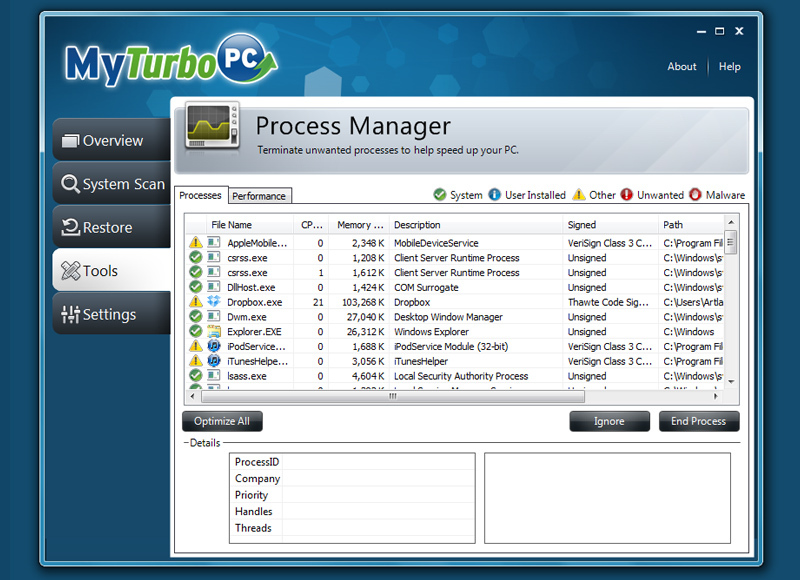 MyTurboPC is a comprehensive diagnostic program that increases the speed, performance, and security of your Windows® based personal computer. The download is an evaluation version for diagnosing computer issues. Clean your registry, defrag your PC or manage startup items to increase overall speed and performance. Remove hidden malware and spyware, clean your Internet history and manage privacy files. Use an array of tools designed to help you easily manage and update browser and Windows® settings. Take advantage of free technical support to help you get the most out of the many features of MyTurboPC. Download regular updates to keep your system current for the latest malware definitions or device drivers. Run a free scan to reveal numerous problems that may be slowing your computer during startup, shutdown or any of the many of the tasks you perform in between. 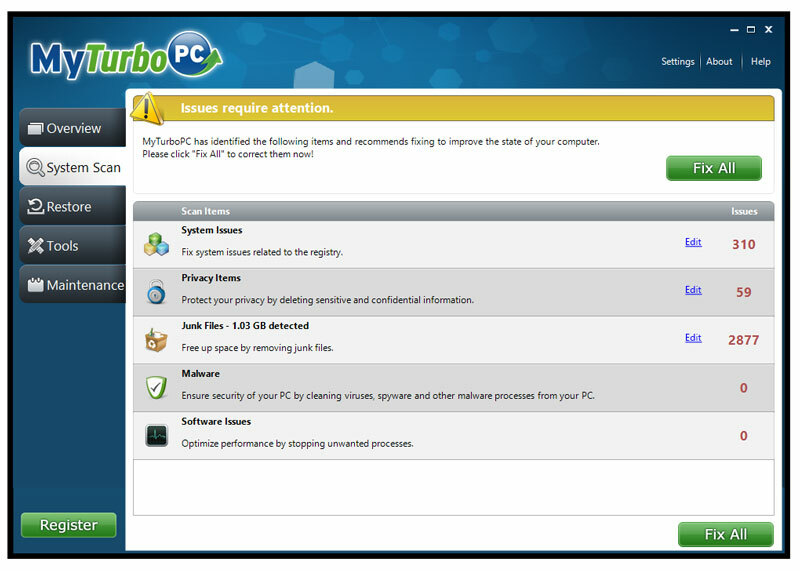 Additionally, MyTurboPC will reveal where your system is exposed to harmful malware, spyware or dangerous computer viruses. MyTurboPC is free to try before you buy. Click here to download MyTurboPC and scan your system for free!